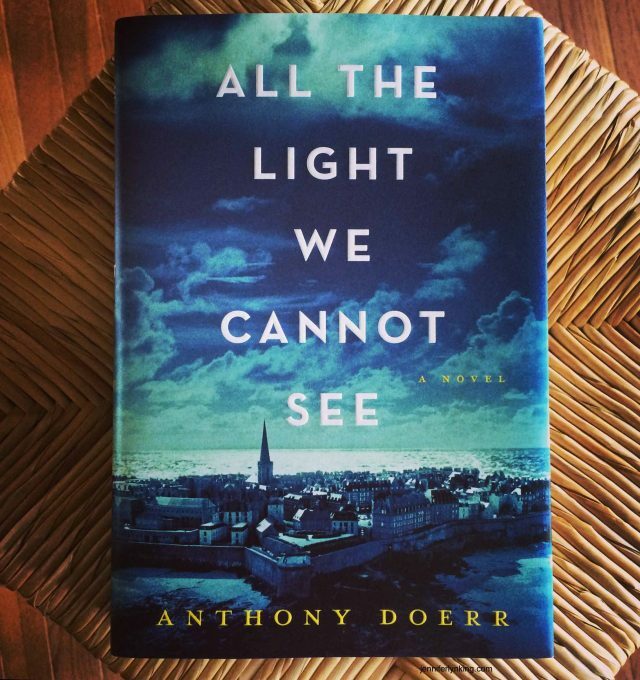 As the Pulitzer Prize winner for fiction in 2015, All the Light We Cannot See is a novel of a million dimensions. Told through distinct voices, each enduring their own trials and tribulations during the reality of World War II, this novel is one that has remained in the minds of readers since the moment it hit shelves. However, if you’re feeling a little apprehensive about picking this one up, may this review be a helpful guide! This is a story about a boy named Werner, a girl named Marie-Laure, and a man named Sergeant Major Reinhold von Rumpel. These characters are constructed lovingly. They absolutely captivate with their respective charms as well as their vices. Doerr created real people—people with faults and fears that we believe and can relate to. Some novels try to humanize their characters by giving them thorny dispositions, or strange foibles like vampirism. Somehow, Doerr manages to fault his characters whilst also glorifying them. By the end of this story, we feel deeply connected to these people; we fear them, love them, and ache for them like family. Though “minor” characters, there is nothing insignificant or lacking about these people. Doerr paints them with just as much vibrancy as he does the “main” characters. Unlike some novel’s minor characters, these are never two-dimensional. They come together to knit a heart-wrenching and inspiring canvas; a microcosm of humanity at its best, worst, and its every-day. However, there is so much color and texture to each story. You can feel the sunlight filtering in the coal-dusted orphanage windows as Werner teaches himself about radios; the leaves crunch on the Parisian sidewalk under your boots as Marie-Laure follows her papa to the museum; and the frustration of searching and not knowing building within von Rumpel. This is a story about humanity: breath and sound and touch are what build a life, thus, this is what we are given through Doerr’s plots. We are given the gift of years in these people’s lives. Though it is a story about WWII, Doerr never strays into melodrama or theatrics. The worlds and lives he builds are whole, honest, and at every point believable. You do not find this in All the Light We Cannot See. Doerr writes genuinely. His characters are humble folk in extraordinary situations—situations brought about by war. At least, that’s half of the equation. As the story progresses, we come to find that Doerr is pressing for a point: it’s not only the circumstances that are remarkable, but it is also the people. These simple people prove that they are human by their fears and their willingness to fall into a flawed system for personal security and prosperity’s sake. But when pressed—really pushed to the limit—these characters rise and transform to the inspired and sublime. Doerr reveals these ideas slowly and with relish. His language reflects the characters: authentic and dynamic—full of simmering life and color. You do not want to miss this one. Previous articleScale That Mountain! Five Books About Hiking That’ll Have You Ready To Hit The Trails!